Free Breakfast every single day! Yes! You have read it right. Each morning, as you get down the bus, the hot-hot breakfast awaits you. “Breakfast like a king, Lunch like a Prince and Dine like a Pauper”! It’s a well-known phrase but the question is do you follow it? BVRIT helps you to follow it. There is breakfast for all the students and staff for free every day in the morning before the classes begin and tea during the break!! Not just tea but milk also for milk babies like me!! When I first heard about this, it not only surprised me but has proved again that BVRIT’s Management is very generous. This scheme started on the Birth anniversary of our founder, B V Raju garu, i.e on 15th October. I remember how I couldn’t believe my eyes when I first saw the sight of providing breakfast. For a moment, I thought that it was just for that day as it’s one of the special occasions at BVRIT. Then realized it was not just for a day but for decades and decades to come. The scene of that day is still vivid to me and that sweet rice was provided for breakfast to start it off on a good note. 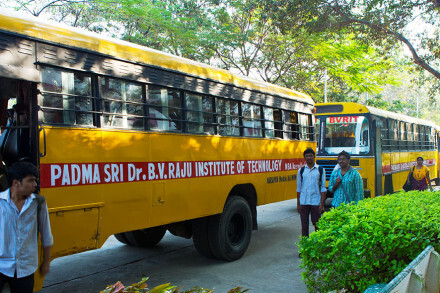 The main reason for this proposal goes on like this: Students and Staff travel a long way to reach BVRIT and time wouldn’t be always sufficient to have breakfast. Well , one even doesn’t feel like eating in a hurry and at the early hour of the day. Breakfast can help you concentrate, give you strength – even help you maintain a healthy weight. BVRIT strongly believes in this. It feels pleasant to feel the fresh air and to have breakfast with friends every morning. My BVRIT gives you a chance to even have your breakfast with friends. Isn’t that amazing? Oh, yeah! I forgot to mention about the food here. It is obviously delicious! Believe me, BVRIT has set a trademark in food too. 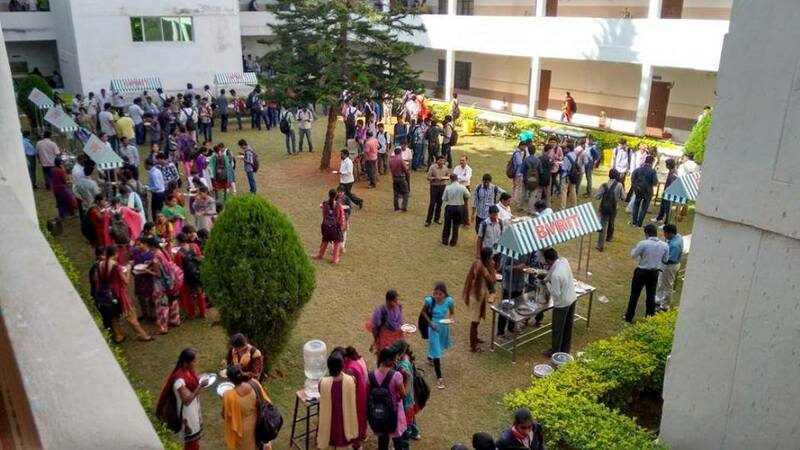 It was some time during one of the longest( 1 –month) workshops I attended recently that I started to miss my College – My BVRIT for all its amenities right from drinking water, breakfast to the students and faculty. It is definitely difficult to find a college that has the amenities like the ones we find here. There would be many who sympathize but there is one and the only one who has empathy in this regard and that’s none other than our Chairman, Vishnu Raju garu! This quality is the differentiator that leads to implementation of various facilities in the college. If you are at BVRIT, you are definitely at the right place. The above proverb exactly lets you understand what I am trying to convey! I always had a haunch that my college is the best. But then people countered me that it is obvious to think great of one’s own college. But now I have reasons to put straight and after I mentioned the facilities in my college, they had their mouths shut! Hence it is no exaggeration when I say BVRIT is a Shangri-La! As a last word I would say, just utilize and cherish when you have the right facilities! 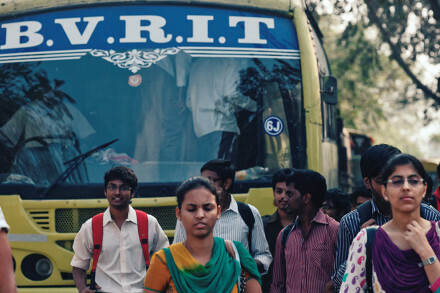 Parvathi Harsha is pursing final year B-Tech in computer Science and Engineering at BVRIT. She is a member of Assistive technology lab (ATL) and Microsoft Innovation Center (MIC).She is a nature lover and a thinker who reads a lot of novels and writes quotations from life experiences. Next storyNothing will work unless you do!